To start this week off on the right foot, Minted has offered one reader a $75 credit toward any of their fabulous designs! One of our favorite things about Minted is the huge selection of amazing wedding invitations and save the dates. From classic to rustic to whimsical, they truly have something for everyone. Invitations are so important because they really set the tone for the wedding and give your guests a little taste of what’s to come. If you’re struggling to find a theme or direction for your wedding day, just browse through Minted’s collection, find something that resonates with you, and use that invitation as a jumping off point for the rest of your inspiration! Here are just a few of our favorites. 1. Barn Party – We love how this invitation is summery and celebratory! With cute little bunting flags in sorbet colored shades, any wedding inspired by this suite is sure to be full of good times. Invitation via Minted, table setting via Ruffled, candy buffet via Amy Atlas, soda bar via Project Wedding, bouquet via Green Wedding Shoes. 2. Ever After – This invitation lends itself to a classic, black and white celebration with touches of whimsy…and of course, lots of clocks! 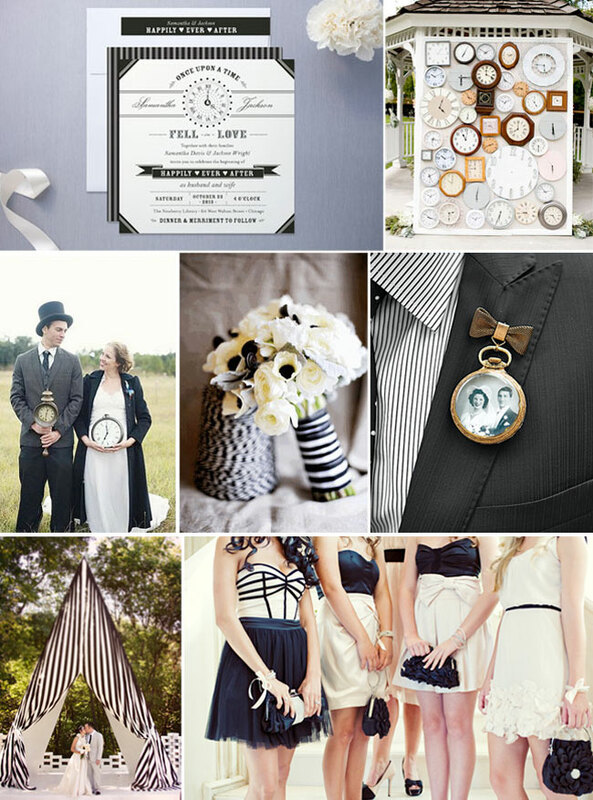 Invitation via Minted, clock wall via Green Wedding Shoes, bride and groom via Postcards and Pretties, bouquet via Pinterest, pocket watch boutonniere via Emmaline Bride, striped altar via The Bride’s Cafe, bridesmaids via Love & Lavender. 3. Stache and Kiss – The type and adorable graphics on this invitation made us think of a fun, carnival-inspired celebration with lots of quirky details! 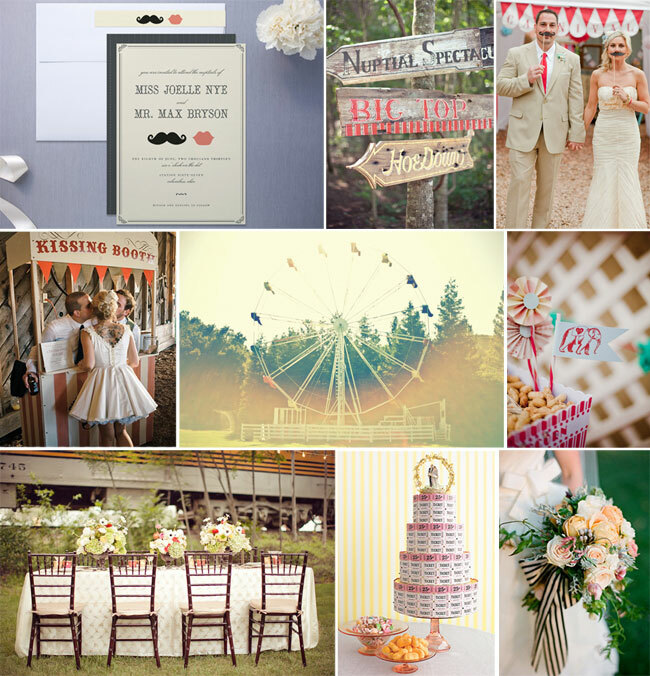 Invitation via Minted, signs via Green Wedding Shoes, bride and groom via Style Me Pretty, kissing booth via Once Wed, ferris wheel via Once Wed, peanuts via Style Me Pretty, table via Green Wedding Shoes, ticket cake via 100 Layer Cake, bouquet via Brides. To enter for a chance to win the $75 Minted.com credit, pick out your favorite invitation from their collection, then come back here and leave a comment telling us what it is. We will announce the winner on Saturday! I love all of them, but my favorite has to be the “Only Fish For Me” wedding invites! I also love: Type Stack, Finally Wedding Invitations, and Just Married Wedding Invitations. Thanks for the contest! Love, love the Sweet Scallop Wedding Invitations, I have had my eye on them for our Save the Dates!! Minted has so many beautiful and fun invites, but there was one that screamed to me, the Rustic Queen Anne Wedding Invitations! So elegant and perfect with my theme and venue for my wedding! I’m getting married on an organic farm with lavender fields, and olive groves, these invites would be perfect for my rustic, vintage theme! My favorite is “Knobbly Blooms”, but I love so many beautiful collections from Minted! 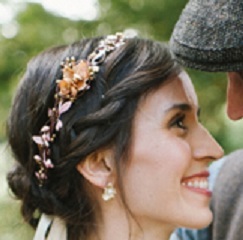 I LOVEEE the stache and kiss, I’ve had my eye on it on Minted since I started planning our wedding!! I like the “Say I Do” invites because the first thing that came to my mind was “My fiance would LOVE that! !” We want to plan a fun dance party, and play a lot of old school hiphop, and that invite would be perfect! The “Barn Party!” invite is definitely my favorite! I helped my mom pick out this invite for my oldest brother’s rehearsal dinner in June and it ended up being the inspiration behind the entire night. The rehearsal dinner was held under a Sperry Tent adjacent to old horse stalls at his bride’s horse farm. We ended up making yard after yard of bunting in the invitation colors to string down the inside halls of the stalls where the bar was located. Paired with some bistro lights, it set the PERFECT tone for a fun farm wedding. We also used bunting all throughout the tables, entrance gate, and tent entrance to add pops of color in a beautiful wooded background. Go Minted! Love Love the Barn Party invites!! Minted is my favorite!! My favorite is Banner and Branches Wedding Invitations – which I’m 99% sure will be my wedding invitation. I love the white french anemone – it’s exactly the modern and elegant feel i’m going for. You know how they say when you find your wedding dress you know it is ‘the one’? Well as I was scanning through these invites, I knew the Equation Wedding Invites were ‘the one’ for me! They are so unique and cute! I love them! The “And Now…” wedding invites are simple, contemporary, and perfect for me! I love all of it, but I’m really a sucker for personalized stationary. I have a huge stash! I’d love to add Hello Birdy to my supply. We just ordered our save the dates from Minted! I’m obsessed! But we haven’t started looking for our invites yet. I do know we will be ordering them from Minted though! So many stunning invitations, I wouldn’t go anywhere else! I love love love them all… but the one that I’m really into right now is “Modern Tweed”. I love the Ornate Love Wedding Invitations… classy and classic! Minted is by far one of my favorite places to shop!!!! My winter wedding invitations would be perfect from here!!! I like the “Simply in Love” invites! I love Barn Party! I’m having lots of bunting at my wedding. The Story Book Wedding Invites are perfect for our Alice In Wonderland themed wedding! If I were getting married again, I would choose something classic like Stephanie… but I really loved midnight wedding, bold stripes, come together and fall tranquility! There are so many beautiful ones… it’s hard to choose!!!!! The mason jar fireflies set is our favorite! Ahhh! I’ve been a fan of Minted forever, and now that I’m actually engaged, it’s so hard to choose my inviations! But right now I’m loving the “happy couple”. Hands down — “Fireflies” is my favorite! The design definitely speaks to my mason jar-lovin’ heart! We are incorporating a lot of vintage blue Ball mason jars in our rustic, spring wedding, as far as the eye can see. That mason jar inscribed with “Love” on the invitation is perfection! It’s a toss up between Banner and Branches and Love Birds for me! So many great options to choose from! I love how simple the “Love Letter” invitations are yet they are drop dead gorgeous! Classic and clean. I love them! I LOVE LOVE LOVE the Stache and Kiss set! Elegant yet quirky, which I think fit our Palm Springs wedding perfectly!!! LOVE LOVE LOVE the fireflies invitations!!! i love love love the airmail wedding invitations, they’re adorable! i love the stargazing anniversary invite! precious. 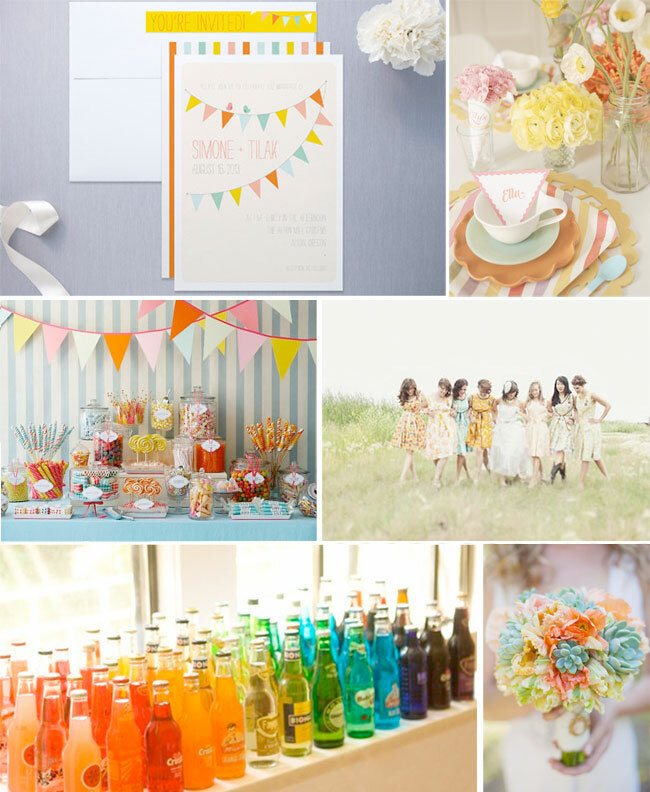 I love the “Bold Stripes” wedding invite, it’s so fun and happy–perfect for our beach wedding! I LOVE the Air Mail wedding invites. What a great giveaway! I like Intricate Birthday Party Invitations by Andrea Snaza. I’ve been eying “Honey Bee” for quite a while now…I keep coming back to it, it’s so classic and simple. I would order the Preppie Dot Inviations!!! LOOOOOVE the Vintage Ranch Wedding Invites! They’d be perfect for our wedding! i love the “smart conversation” invitations. so cute! I would absolutely love to win this for my wedding! My favorite invitation is the fall carving wedding invitations! i’d say my favorite is between the Ever After that you showed and la fete wedding invitations. They both match my vintage theme perfectly and i’d be hard pressed to pick just one! My favorite is the Winter Flourish Invitation. I love different fonts and type faces and this is simple, but elegant and beautiful all at the same time. Too many too choose from! I got my Thank You cards from here (for engagement gifts) and everyone compliments them. I’d have to pick the goldshine wedding invitation if I had to narrow it down. Simple but elegant is perfection. Funny enough, the “barn wedding” you showed is my favorite! 🙂 I am using a lot of bunting in my invites! I’m torn between the “Honey Bee” and “Indian Lace” wedding invites. They’re both so beautiful!